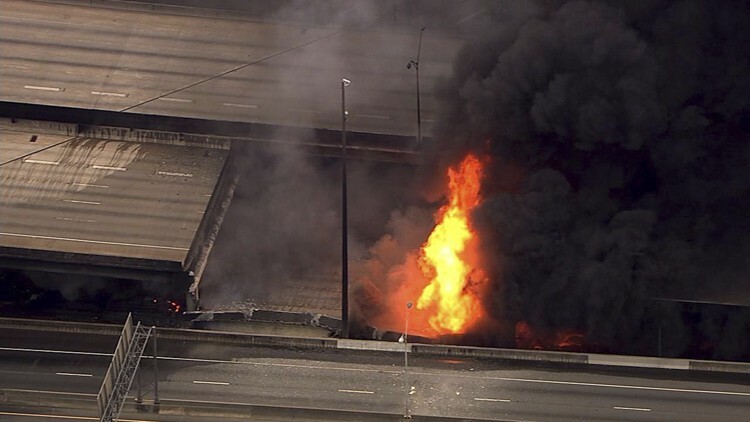 On March 30th, 2017, a fire destroyed a bridge in Atlanta — but not just any old bridge — it was the infamous section of I-85 that spans the exclusive “Buckhead” neighborhood. The details of how the fire started and consumed the massive steel and concrete structure have been highly controversial. The blame game for this “Atlanta I-85 bridge collapse” has reached fever pitch, breaking down along the classic socioeconomic lines. What’s clear is that people are filtering the incident through their pre-conceived world view “prisms”, which paint everything the same color regardless of true hues. Reminiscent of the OJ Simpson trial, people believe what they want to believe about who and what caused this catastrophic fire, which took out one of the main routes in the Southeast, paralyzing its hub city for at least 2 months. One perspective has placed the blame squarely on the shoulders of a homeless black man (Basil Eleby), who allegedly ignited some old furniture and inadvertently sparked the uncontrollable flames. Such is the prevailing view in Atlanta’s “white” communities. On the other side of the bridge, Atlanta’s “black” residents tend to blame the city for stacking hazardous materials so close to a busy highway. This fire has reignited divisive forces such as race, class and law enforcement after a brief post-election hiatus. Next Who Defines Religious Faith?